Think back to the last time you wanted to know something. You headed straight to Google, right? Now, think about this: What did you do the last time you wanted to learn how to do something? You had to change a switch on your dishwasher. Apply your makeup in a new trendy way. Cook a dish so far outside of your comfort zone it needed a safe word. You probably headed to YouTube instead. And you’re not alone: 5 billion videos are consumed daily on YouTube. The platform’s users comprise almost a third of the internet. YouTube is a marketer’s paradise. With so many potential viewers, your target audience is bound to be searching for how to videos and more. To make sure your ads get in front of your audience, though, you need video SEO and keyword research on your side. It’s simple: Video marketing is too expensive to not be as strategic as possible about what you’re creating and how you’re distributing it. You need every possible edge you can get for your video marketing to keep costs low and your ROI high. And for that, keyword research could be the different between your marketing efforts amounting to a scream into the void or a roaring success. Keyword research will make it easier for your audience to find you. And getting them to find you means more opportunities for getting shared. 76% of users say they’ll pass your video along, even if it’s a branded video, as long as it’s entertaining. In fact, branded YouTube videos often rank among the most popular. 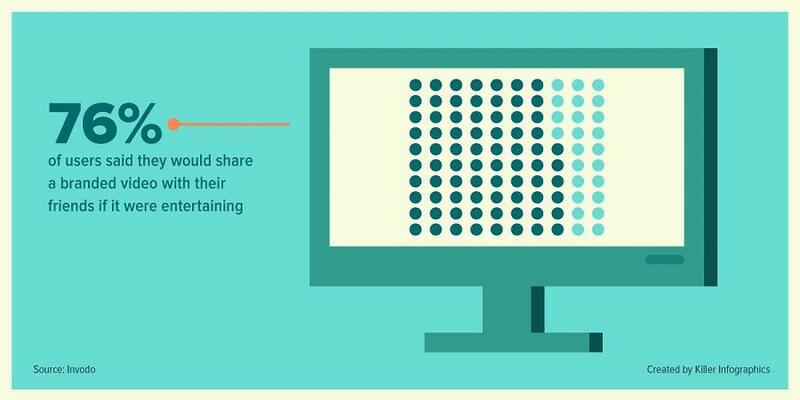 But using keyword research means more than getting shared. It also means finding customers and the gaps where your competition isn’t already outspending you. This strategic research, coupled with a commitment to quality, helped one ecommerce business grow their channel to 3 million subscribers. And Brian Dean of Backlinko helped Buffer expand their YouTube channel by 59% in 30 days with YouTube SEO. 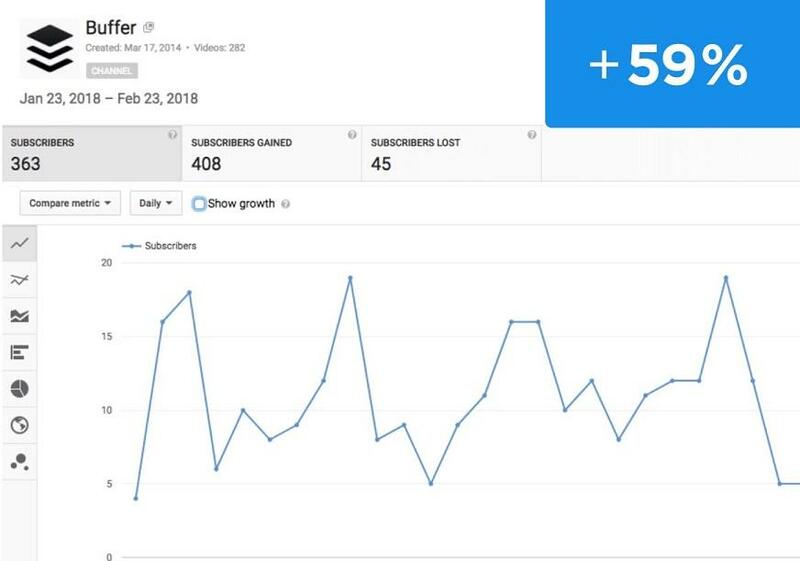 That’s one hell of an uptick, and most of that growth came from just five videos! So, bottom line? You can’t afford to skip keyword research. The good news? This research doesn’t have to be frustrating or time-consuming. Here are the three best ways to get better YouTube keyword research faster. “Regular” SEO (for lack of a better term) has a lot of development, competition, and intuitive tool suites designed to take out as much of the work as possible. YouTube SEO isn’t quite that advanced yet. But even though the field is considerably smaller, there are some tools made specifically for YouTube keyword research, and a lot of them are on the cheap (or even free) side. Here are a few I’ve tried out that you can use. You can use Kparser for free, but like most tools, you’ll get a lot more out of it if you’re willing to fork over some dough. With the ability to search specifically for YouTube terms, the free version of Kparser shows you a proprietary ranking factor in its suggestions based on the frequency range of every word in the term. Information like YouTube keyword search volume and cost is only available if you subscribe, so the basic version isn’t ideal for any intensive research. But when it’s easy – and free – the only cost to you is time to check it out and add its suggestions to your strategy. Like Kparser, Hypersuggest lets you take it for a free spin but limits what you can see when you run your search. 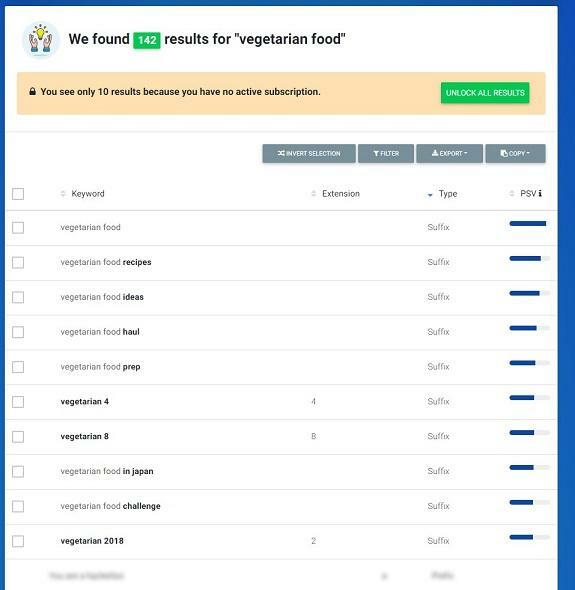 With a slick UI and the ability to search by country, this YouTube keyword tool only shows you the first 10 results without an account, but it includes potential search volume and expands your results based on suffixes, prefixes, and modifiers. Not too bad, right? I like this one better than the last, but the next is my favorite for YouTube keyword research that doesn’t cost a small army. Here’s why. Wordtracker has more than earned its place on my list of go-to tools that can be used for free. And if you do decide to get the upgrade, there’s good news. Unlike a lot of other premium tools, Wordtracker actually lets you get started with a free trial before you commit to it, and the prices aren’t terribly high if you decide to sign up for the paid version. Wordtracker provides search volume, competition, and information about the number of times the keyword appears in the anchor and title. And that’s with the free trial version! Still, if you’re looking for a more traditional keyword research tool and are willing to shell out the cash, all three of these options have affordable upgrades. Other options include KeywordKeg and YtCockpit, but their price tag jumps significantly and probably isn’t for the faint of heart or those new to video marketing. With so many other factors that determine how well your video does, there’s no reason to add the expense to your plate if it’s not already there. So, leverage your free options! Use them to find keyword suggestions and sort them based on their volume and potential for your business. If you decide that you need more after that, move up to the big leagues. YouTube keyword research has a lot in common with your brick-and-mortar keyword research in that your competition is one of your top resources for finding relevant terms to target. If a competitor’s video is ranking, then you know they’ve already done the work. 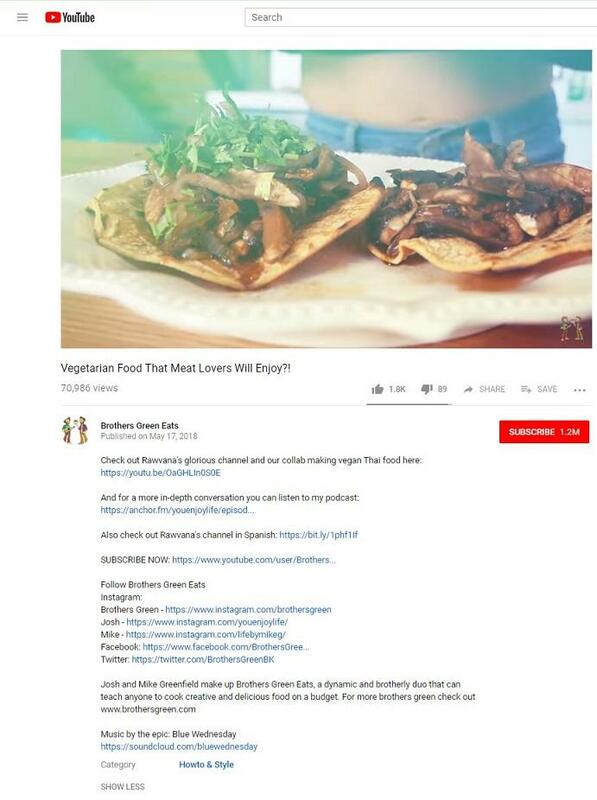 Your competition has figured out which tags, thumbnails, and titles help attract clicks and, in turn, get the algorithm gods to smile on them. Unfortunately, YouTube tags aren’t exactly easy to spot. These tags are terms that you can attach to your video, so they function the same way as keywords do on the SERP. 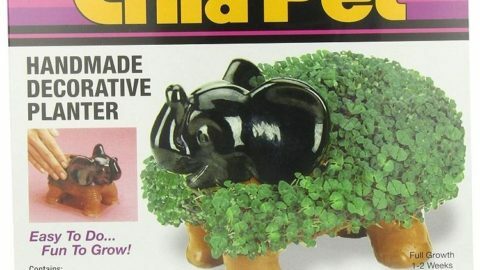 Spoiler: This was a trick. You can’t find them because tags aren’t displayed on default. And while there are some complicated, digging-into-HTML methods for finding them, I’m the guy who favors control+f keyword research, so you know I have an easy way out. Chrome extensions level easy, even. While tags aren’t the end-all-be-all of keyword research for YouTube (more on this later), they’re essential for telling both YouTube and Google what your video is about and getting it to populate in search results and related video views. And if your competitors are using those tags to great success, it’s a step in an even better direction – past them. Load up your plugins and start spying on competitors. Work backward to figure out what tags they’re ranking well for, what they’re missing, and where you can capitalize. If you’ve walked the SEO block – or even just passed it – you probably know that the long-tail keyword is beloved. Long-tail keywords are cheaper to rank for, have less competition, and target more qualified leads than head terms. How do these keywords target better leads? 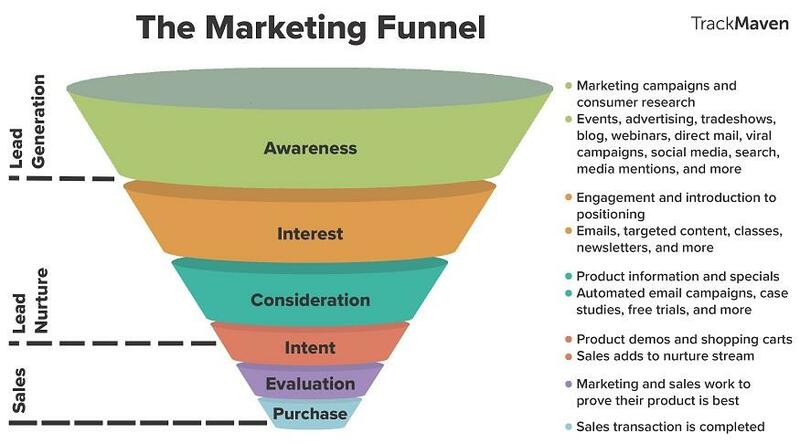 Often, long-tails coincide with capturing users when they’re in the later stages of the marketing funnel. Shorter, more competitive terms like “men’s clothing” might target someone still in the awareness phase, just beginning their search or just looking for information. But long-tailed keywords like “gray tweed sport coat Brooks Brothers” or “men’s L.L. Bean wicked good slippers brown” are more likely to grab someone in the interest stage or later. YouTube keywords work the same way. For brand awareness, short head terms in the form of one- or two-word tags are great. 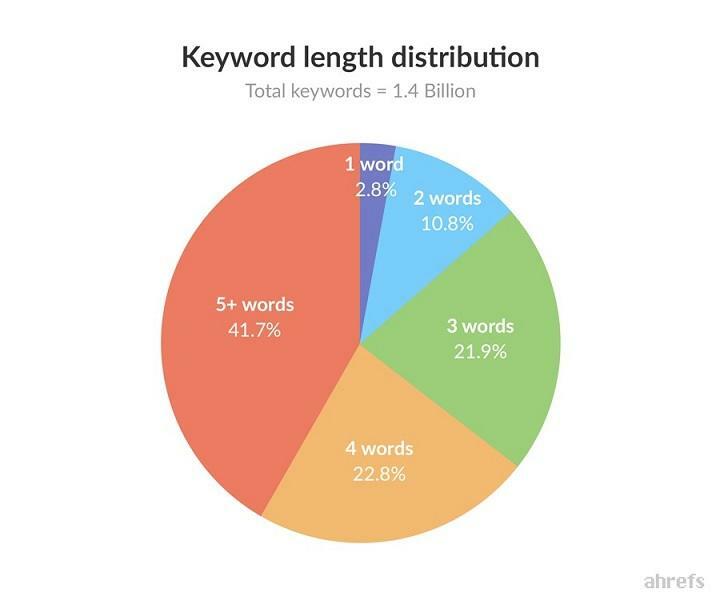 But if you’re trying to reach customers and not just subscribers, longer keyword terms can help you narrow the field. After all, the overwhelming majority of searchers use at least three or more words. Dylan Swain, a homegrown YouTube comedy artist with just over 4,000 subscribers, uses long-tails to rank several of his videos in the coveted number one position. 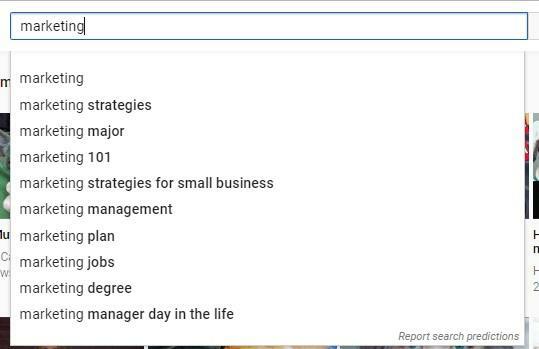 Here’s the best news: YouTube can help you find relevant long-tail keywords. In fact, YouTube is so good at helping people find long-tail keywords that it’s spoiled video games for unsuspecting searchers. It’s a method that anyone who’s glanced at Google is familiar with: search suggestions. Just type in a keyword to see what some of the most popular long-tailed suggestions are. There are tons of opportunities for you to add to your idea board to create new videos. 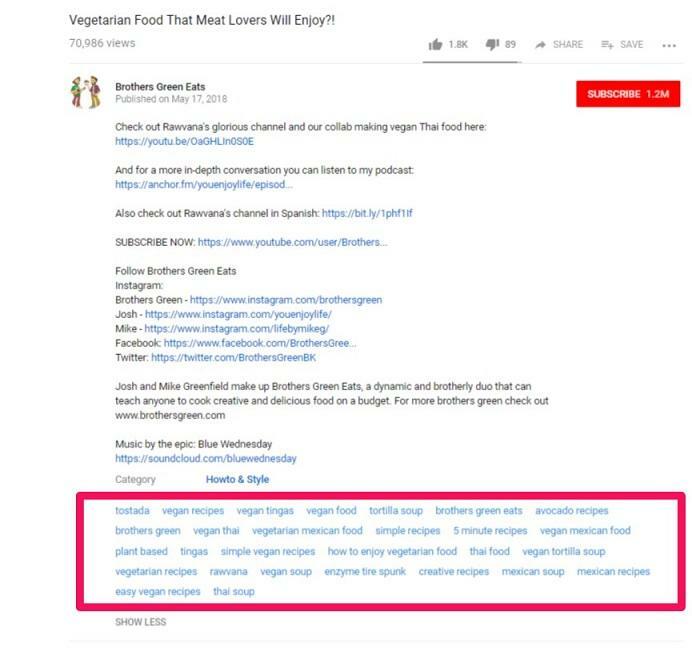 Or, if your videos already align, for you to add popular tags to your video. Simple, free, and fast. Try it out. YouTube videos kill productivity year-round, and I love them for that. Use free YouTube keyword research tools. Try a Chrome Plugin for competitive research. 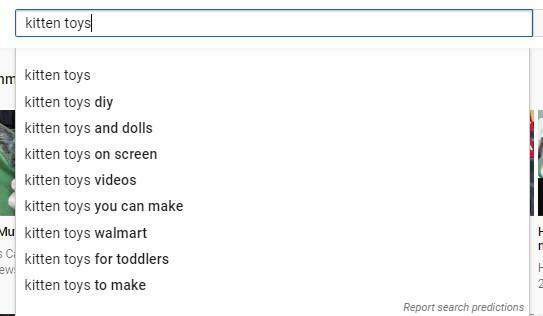 Find long-tail keywords in YouTube search suggestions. It takes long enough to make the videos. Thankfully, keyword research doesn’t have to.